How do you style vintage skirts contemporary? The easiest way is combining them with more modern pieces. All of the pieces here are contemporary even if the handbag and glasses are reproductions of vintage pieces. This outfit might have more of a retro vibe than most people like, but it is “just right” for me. Every time I get out this embroidered estate sale skirt from Italy I’m delighted by the quality and details. It is just one of those pieces that makes me feel ultra feminine. I truly cannot decide about this top. On one hand I love it because I think the shape is very flattering and it goes with a million different things in my closet. On the other hand it shows lots of skin and has a massive keyhole directing the eyes right to my newest smattering of unwelcome age spots, which I keep trying to tell myself are just very large freckles. There is also a little bit of boobage overflow at the underarms and of course some cleavage. This is one of the very rare pieces in my closet that I paid full price for at Anthropologie. I keep putting it in the consignment store pile and then taking it out again depending on my mood and level of self confidence. For the moment I think it is staying with me. There is no chance of a wardrobe malfunction because it fits like a glove. I have thought briefly about stitching some sheer fabric behind the keyhole. I can’t decide if that would just look tacky and cheap or ladylike and fancy. There is such a fine line between the two (wink). 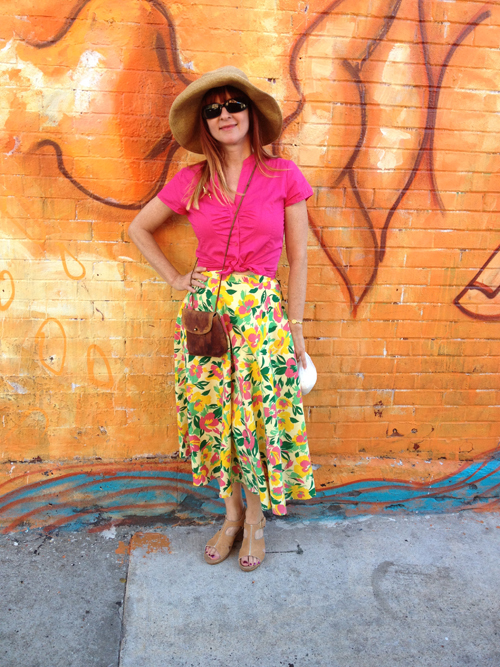 Here are some other ways I’ve styled my vintage skirts with a contemporary twist. Do you have pieces in your closet that you keep changing your mind about? Wow, what a beautiful skirt. And lovely outfit. I understand your problems with the top but it fits you so well and creates an attractive shape. I’d keep it for that. 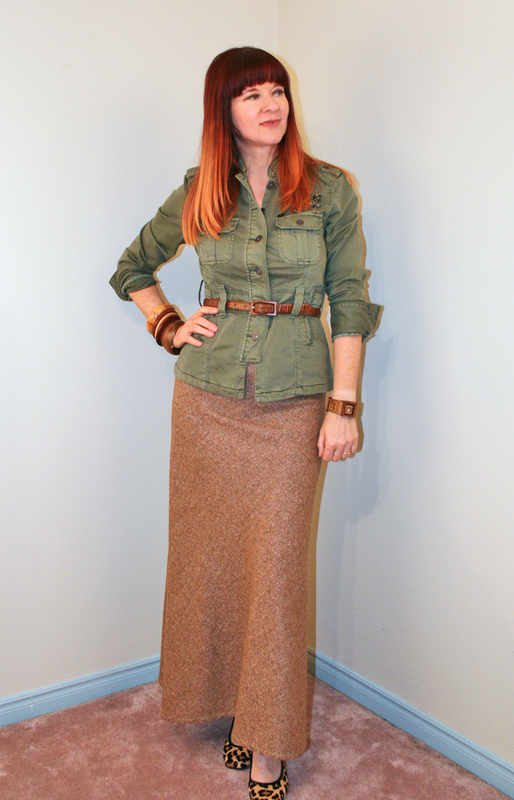 Love this skirt, Suzanne!! I truly wouldn’t realize it’s vintage…I’d just think of it as an embroidered skirt! I definitely struggle with some clothing items whether to keep or donate—it’s always harder for me if I have paid more for it. I think this shirt looks great—although I am intrigued about the idea of a sheer material behind the keyhole—you should pin it in and show us on the blog (because I have one that I might need to do that on–I end up wearing a cami under mine, but you can’t really do that with yours). Very beautiful and feminine, indeed! This skirt from Italy is really fabulous, I like the cut and color! I loved the top and cardi as well, an the bag is fantastic! 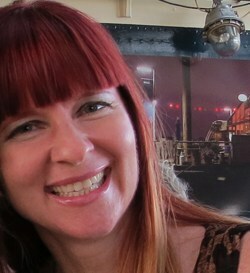 I didn’t see any age spots, but freckles are nice (I think), so they may be like freckles an enrich your cleavage. I also loved how you styled the skirt with the short blazer! And the next favorite outfit is the floral maxi skirt with the black leather jacket! You always look so well dressed and beautiful! Bisous! You find the best vintage clothing! I love that skirt. The embroidery is fab. I’m continually putting stuff in the donate pile and then taking it out. Generally when I take it out it never does anything but take up space in my closet. I really just need to listen to my gut. If I’m doubting it, it needs to go. I LOVE, LOVE, LOVE every single one of your skirt stylings!!!!! These are all beautiful and you are a knockout in every photo. Just (a few?) years ago skirts were THE hot item. I’ve been a huge fan of embroidery for as long as I can remember and having been a young woman in the early 70’s I’ve never quit liking the boho look which often encorporates embroidery. It’s PAINFUL to creatively uncouple from a piece you’re unsure about. Amount spent is a HUGE factor! Who wants to feel the tragedy of a fashion f_ _ _ up??? KEEP that darling top Suzanne. You look great in it and you clearly know how to style it. When it becomes vintage and you’re 65 you can consider a sher insert. I love all of your stylings especially the 1970s maxi (nothing if not predictable). I love that a skirt can be as vintage or as contemporary as you chose to make it, they really are fabulously versatile – another reason why I can’t understand why the one I wore on my blog last week remained unsold for so long! I love that top you’re in two minds about, it really does show off your banging bod – you could always stitch a brown lace insert into the keyhole if you feel conscious but I think it looks perfect as it is. You are full of brilliant styling ideas, Suzanne! I will have to save the link for when I need an inspiration. I have just one genuine vintage skirt, and I love it, but sometimes I’m lacking ideas. Yes, pieces that I think of: shall I give it away as I hardly wear it and it isn’t really me. Or shall I keep it as it is a special piece and there are days I feel it is me. I was thinking the same thing with this top, put a piece of sheer fabric behind the keyhole. It is easy to try out. You might have to vary on sheer fabric pieces until you find the right one. But I think it will look good. You obviously don’t feel that comfortable with it. Forgot to say that I think you really know how to style vintage clothes. I still adore that yellow outfit. I love all these outfits, especially the colors and textures. Each one is an outfit I’d be happy in. Someone recently commented about buying individual pieces that she loves, then figuring out how to combine them with clothes at home. 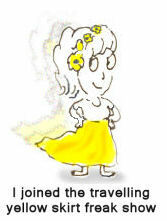 That was great to hear – I’ve now quit blaming myself for shopping this way. I’m not the only one, and, with a little confidence, it does work! Thanks for the great ideas. Here’s another possibility for an insert in your keyhole top: I think it would look even more vintage with an inserted piece of a very similar print, not quite matching, a slightly larger and darker print, maybe. And adding a thin outlining trim around the keyhole would be pretty, too. Here’s a link that shows combining prints like I described in my previous reply, especially top row, fourth from left. Good grief, sorry I didn’t include the link. Here it is! Keep the hole open! You look hot. Of course all your stylings are right on. You definitely know what you’re talking about. I love how you put lots of examples in your posts. You can definitely see the quality in the first skirt, and your retro vibe I think can be seen as current too. I have always loved you incorporate vintage pieces and make it so on trend. I have a bunch of things that I keep wanting to get rid off but hold on to as well. My reason is weight and I keep hoping that it will come off one of these days so I can fit back into my clothes. I really love that top, I was just thinking how gorgeous it was on you, before I got to the bit where you said you weren’t sure! I think the keyhole top is cute and not really in need of any adapting. That tiny bit of flesh may feel like a huge reveal, but it’s pretty tame in the grand scheme of things. However, having said all of that, at the end of the day you have to feel comfortable or you’ll not do the outfit justice. 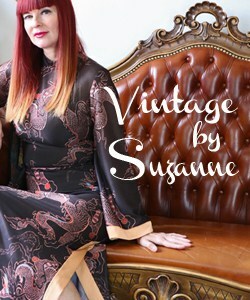 Suzanne, I have to say, you are the master of vintage styling and always get the balance just right. I can’t pick fault with any of these wonderful ensmebles (not that I was actually trying). You look stunning in every single photo. Brilliant! Oh, that first photo! I love everything about it!!! Your eye for vintage finds is the best. I’m in search for a handbag like that one. I think that top fits you perfectly, and from here there’s no way we can see any of those ‘freckles’ you are talking about, even though you may be very aware of them. I don’t think you need to fill in the keyhole either. You have a fabulous body, there’s no reason to not show it off in things that fit well. I adore the made in Italy skirt. The colour is lovely, and it looks smashing as part of the outfit in the first photo. it’s a lovely skirt, and it’s also a lovely top (more pros than cons), and beautiful accessorizing! Lovely (and very useful) recap too, I’m taking notes about how to wear belts over jackets when they’re too long, and how to wear untucked shirts, tying them in a knot!, lovely! I like to follow a lot of bloggers who do the whole vintage head-to-toe look and while it is fun, like you, I prefer to mix retro styled pieces with newer stuff. I like the way this looks with a peplum top! You are so good at styling skirts like this! I really like that orange one. Oh andKEEP the Anthropologie top!!! Great outfit, with one suggestion, sell the top! No need to take it to a consignment shop, if it’s my size, I’ll pay with PayPal or I’ll send you a cheque. What size is it? I’ll take the skirt too, if you ever think of putting it in your consignment store pile. What else is in that pile? Send your address and I’ll get that cheque in the mail pronto! Heck, I’ll pick it up in person! WOW! !